The weather has cleared after some overnight rain. 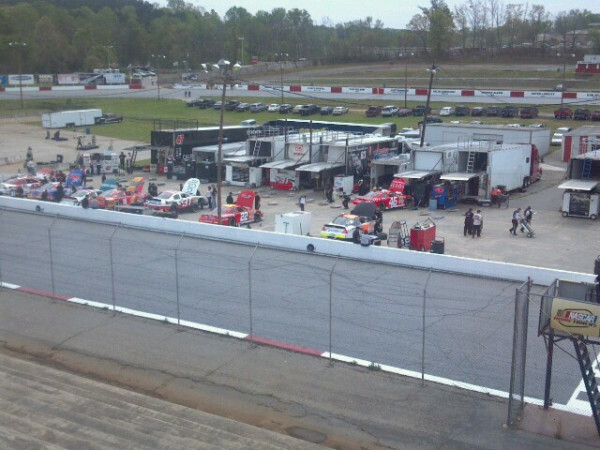 The second event on the 2012 NASCAR K&N Pro Series East schedule will be run today at Greenville Pickens Speedway (GPS) in South Carolina. 9:00 a.m. ----------- Garage opens. Inspection begins. 11:00 a.m. ---------- Mandatory Rookie Driver Meeting. 11:00 a.m. ---------- Draw for qualifying order. 1:00 to 1:45 p.m. -- Practice. 2:15 to 3:00 p.m. -- Final Practice. 3:15 p.m. ------------ Qualifying Inspection begins. 5:00 p.m. ------------ Mandatory Driver/Crew Chief Meeting. 7:00 p.m. ------------ Mandatory Driver Autograph Session. While the race is not televised live, you can follow updates from the track throughout race day, by logging on to the “Lap By Lap: Kevin Whitaker Chevrolet 150” at http://hometracks.nascar.com/node/7418. The website Speed51. (www.Speed51.com) will also have staff doing live coverage and providing the production of the NASCAR Home Tracks Radio broadcast. DAYTONA BEACH, Fla. (March 27, 2012) — As the 2012 Betty Jane France Humanitarian Award nominations kick into high gear, the contest’s 2011 winner, Robert Weaver, had a street named in his honor last week in Talladega, Ala. The city of Talladega recognized Weaver by renaming a street “Robert Weaver Way” to acknowledge his charitable accomplishments. "Mr. Weaver has been an icon within the City for decades, and we were elated to see his lifetime of volunteerism rewarded when he was presented with the inaugural Betty Jane France Humanitarian Award,” said Brian Muenger, city manager for the City of Talladega. “The City of Talladega is truly blessed to have Mr. Weaver amongst our residents and is pleased to name a street in his honor as a token of our appreciation for his selfless dedication." Robert Weaver has been volunteering with Alabama Institute for the Deaf and Blind (AIDB) for more than 50 years. In addition to his monthly charitable endeavors, the 84-year-old dedicates 30 hours a week to helping children in the organization. This passionate NASCAR fan’s many contributions range from creating intramural basketball teams and bowling programs to teaching students how to ride tricycles. “The past several months have been such a whirlwind – all of the excitement surrounding being a finalist and then the inaugural winner of the Betty Jane France Humanitarian Award and now having an actual street that bears my name in my home town – it is all simply overwhelming,” said Weaver. Nominations for the 2012 Betty Jane France Humanitarian Award are based upon multiple criteria including a long term commitment to children’s causes, how the donation from The NASCAR Foundation would be used, impact on the local community, dedication for their efforts and passion for the sport of NASCAR. The winner of the second-annual Betty Jane France Humanitarian Award will receive expense paid trips to a NASCAR Sprint Cup Series race weekend and the 2012 NASCAR Sprint Cup Series Champion’s Week in Las Vegas in December, as well as a 2013 Toyota Camry Hybrid from Toyota and $100,000 for donation to the children’s charity of their choice from The NASCAR Foundation. The other three finalists will receive a $25,000 donation from The NASCAR Foundation to a children’s charity of their choice, as well as the expense paid trips to a NASCAR Sprint Cup Series event and Las Vegas. For more information about The NASCAR Foundation and the Betty Jane France Humanitarian Award, please visit NASCAR.COM/foundation. Hydration is incredibly important. In sport dehydration can affect your performance and decision making abilities but by the time you get thirsty you're already dehydrated. This Saturday, NASCAR racer Paulie Harraka* will be using a device based on John Rogers work at the University of Illinois Urbana Champaign to monitor his hydration levels as he races. 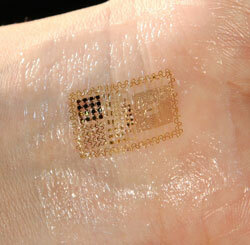 Rogers' device is an extension of his work presented in his Science paper last year, and consists of a 'temporary tattoo' of flexible electronics in direct contact with the skin. He gave the update on his work to delegates at the American Chemical Society annual meeting in San Diego, US. 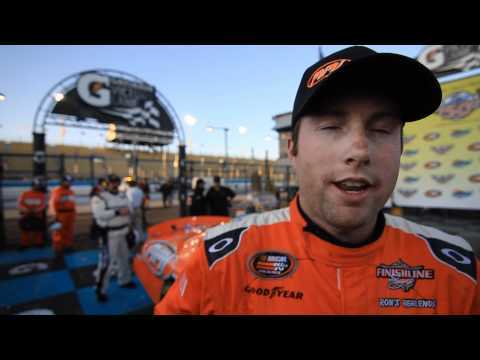 *Paulie Harraka is the driver of the NASCAR Camping World Truck Series #5 Wauters Motorsports Ford. He is a K&N Pro Series West Alumni. **NASCAR hasn't approved a working model of the new MC10 skin for a race. The second event on the 2012 NASCAR K&N Pro Series East schedule will be at Greenville (S.C.) Pickens Speedway (GPS) on Saturday, March 31 with the Kevin Whitaker Chevrolet 150. 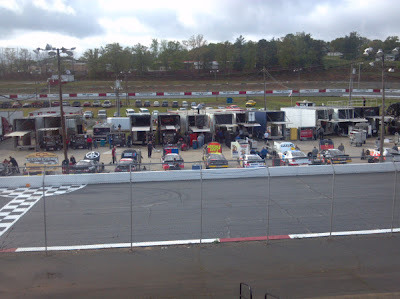 The seventh annual Kevin Whitaker Chevrolet 150 will mark the eighth all-time event for the NASCAR K&N Pro Series East at Greenville Pickens Speedway, and the first of two in 2012. 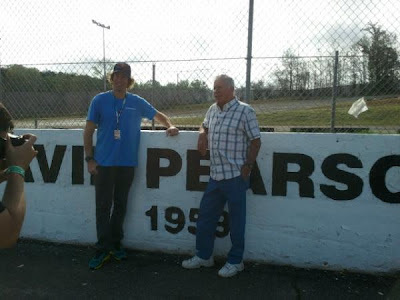 After opening the current campaign with the inaugural visit to the high concrete banks of Bristol (Tenn.) Motor Speedway, the K&N Pro Series East will return to familiar territory at the historic half mile in Pickens County. The series has raced at GPS each year since 2006, which marks the third-longest association among the tracks on the 2012 slate and NASCAR’s top developmental series. Dylan Kwasniewski is scheduled to make his NASCAR K&N Pro Series East debut. The NASCAR K&N Pro Series West sophomore, Kwasniewski will attempt to make the first of a handful of K&N Pro Series East starts this weekend at GPS. Kwasniewski registered two wins, two poles and nine top 10s in 13 West races last year to capture "Sunoco Rookie of the Year" honors. He will pilot the No. 20 Toyota for owner Steve deSouza, a vice president at Joe Gibbs Racing. Matt Lucas will serve as Crew Chief. HUNTERSVILLE, N.C. -- As the date of the Sprint All-Star Race approaches, fans can once again help determine the starting lineup for what is one of the most highly anticipated events of the Sprint Cup Series season. Through the annual Sprint Fan Vote, under way now, fans can cast ballots for their favorite eligible driver. The driver receiving the highest number of votes will earn a spot in the prestigious Sprint All-Star Race field and a shot at the $1 million payday when the event airs live on SPEED, Saturday, May 19, from Charlotte Motor Speedway. Last year, fans cast more than 2.4 million votes, a record number. Fans can vote by using the Sprint Cup Mobile Android application on their Sprint phone, or by texting "VOTE" to 229466 on any wireless carrier (standard text messaging and data rates apply). Voting is also open at NASCAR.com/AllStar or by visiting the Sprint Experience, located in the midway at all Sprint Cup Series races. Voting will continue until 5 p.m. EDT on Saturday, May 19. As an added customer benefit, votes submitted from a Sprint, Boost, Nextel or Virgin Mobile device count double toward an individual driver's total. In 2008, Kasey Kahne became the first driver to win the Sprint All-Star Race after being voted into the event via the Sprint Fan Vote. Other winners of the Sprint Fan Vote include: Ken Schrader (2004), Martin Truex Jr. (2005), Kyle Petty (2006), Kenny Wallace (2007), Joey Logano (2009), Carl Edwards (2010) and Dale Earnhardt Jr. (2011). To be eligible for the Sprint Fan Vote, drivers must have finished in the top 55 of the final 2011 Sprint Cup Series driver point standings or attempted to qualify for the 2012 Daytona 500. Any eligible Sprint Fan Vote candidate who wins a Sprint Cup Series race during the 2012 season will automatically gain entry into the Sprint All-Star Race. Subsequently, the driver's name will be removed from the Sprint Fan Vote ballot and their accumulated votes will be voided. In addition to accumulating the most votes, a Sprint Fan Vote-eligible driver must also finish the Sprint Showdown qualifying race on the lead lap with a car in "raceable" condition (as determined by NASCAR Competition), to earn a spot in the prestigious all-star field. Tickets for the Sprint All-Star Race are on sale now. Frontstretch tickets with the best views of pit road and the world's largest HD video board start at just $49. To purchase tickets, call 1-800-455-FANS (3267) or visit www.charlottemotorspeedway.com. Follow Miss Sprint Cup via Facebook and Twitter () throughout the voting window for the most up-to-date Sprint Fan Vote information. Fans are encouraged to use the hashtag #SprintFanVote when tweeting about the event. Phoenix, Ariz. – The West Coast Stock Car Hall of Fame announced their 2012 inductee class and four new directors at a press conference during the Subway Fresh Fit 500 weekend at Phoenix International Raceway. As is the case with every class, the inductees are broken down into a historic division (from 1930-1970) and a modern division (1971-today). -Butch Gilliland, the 1997 NASCAR K&N Pro Series West champion and winner of 13 victories in the division. His then-crew chief, son David Gilliland, currently competes in the NASCAR Sprint Cup Series. -Vic Kurten, a prominent Ford car owner during 1970s. With the late Sonny Easley driving, Kurten’s car won the NASCAR K&N Pro Series West’s first race at Mazda Laguna Seca Raceway. -Bill McAnally, a five-time NASCAR K&N Pro Series West owner champion, former series driver and promoter at various West Coast tracks including Roseville (Calif.) Speedway. -Pat McElreath, crew chief for Hall of Fame member Herschel McGriff, who won 12 races with McElreath in 1972. The two also paired for a fifth-place finish in the 1973 Daytona 500. -The Justice brothers, whose fuel and lubrication additives have been and continue to be used by competitors not only in stock cars but throughout the industry. The company is a pioneer in contingency sponsorship of racing teams. -B.L Marchbanks, whose 1.4-mile Marchbanks Speedway near Hanford, Calif. hosted a number of NASCAR Sprint Cup Series races whose winners included Fireball Roberts. The track also staged several U.S. Auto Club races under promotion of Hall of Fame member J.C. Agajanian won by A.J. Foyt, Mario Andretti and Gordon Johncock. -Bob Phillipi, a Northern California Lincoln-Mercury dealer, won in the 1940s and 1950s. His drivers included Hall of Fame members Marvin Burke, Ben Gregory and Johnny Soares. -Fred Steinbroner, raced out of Los Angeles and won several races in the pre-NASCAR days and once held the all-time track record on the wall at Oakland Speedway driving a Lincoln. The 2012 class will be inducted during a gala event June 21 at Napa Smith Brewery (NapaSmithBrewery.com) in Napa Valley, Calif., during the NASCAR weekend at Infineon Raceway, which showcases the NASCAR K&N Pro Series West and the NASCAR Sprint Cup Series. During the press conference, Clapp also announced the appointment of four new directors to the Hall. They are Blake Bechtel, Ralph Sheheen, Bryan Sperber and Wayne Wells. The Hall, which inducted its inaugural class in 2002, was founded in 2001. It memorializes significant contributors to the sport’s development and history – including designers, engineers, mechanics, drivers, racetrack owners, promoters, publicists and members of the motorsports media. For additional information about the West Coast Stock Car Hall of Fame, please visit WestCoastStockCarHallofFame.com. To obtain details about table sponsorship for the 2012 awards dinner, contact Dusty Brandel at 818-842-7005, dusty.brandel@gmail.com or Chairman Ken Clapp at 925-552-9887. In The K&N Pro Series West? 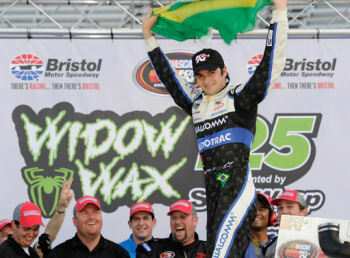 Camping World Truck Series Regular, Nelson Piquet Jr.
Should Upper Level NASCAR Drivers be allowed to participate in this series? Labels: David Mayhew, Nascar, NASCAR Race Mom, Nelson Piquet Jr.
Young Shoe, Dylan Kwasniewski knows how to work with his sponsors. He has been busy filming a television commercial for Royal Purple TV. Kwasniewski was the 2011 NASCAR K & N Pro Series West Sunoco “Rookie of The Year” - the youngest to win the title! At the age of four and a half, Dylan jumped into the seat of his first kart in Norwalk, CT. He captured his first win shortly after turning five. From then on he was hooked on racing. This year will be his second in the NASCAR K&N Pro Series West. His #03 Ford is sponsored by Rockstar and Royal Purple. 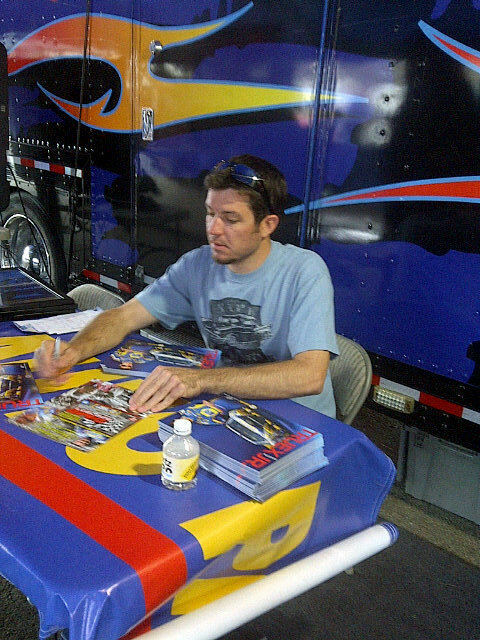 Martin Truex Jr. participated in the grand opening (March 21, 2012) of the second BMR Napa Care Store by signing autographs in Roseville, California. 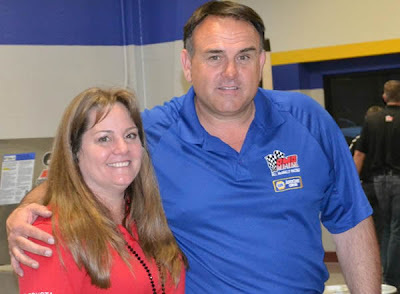 For over 26 years, Bill McAnally Racing has brought to fans and partners a close-up NASCAR racing experience through its five championships in the NASCAR K&N Pro Series West. LOS ANGELES -- Before Kurt Busch won his first Cup championship, he won a NASCAR Southwest Tour race at Irwindale Speedway in 1999. He isn't the only NASCAR driver who honed his skills racing at the shuttered half-mile oval in the San Gabriel Valley. Irwindale Speedway had star power. It attracted some of the top drivers in NASCAR, even after they were established in the Sprint Cup or Nationwide Series. 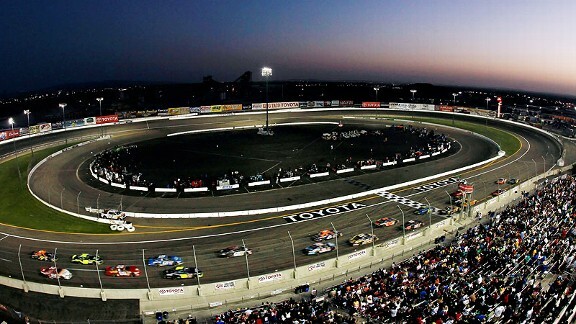 The track management at Irwindale cancelled the 2012 racing season and filed for bankruptcy in February, leaving Los Angeles County without a NASCAR-sanctioned race track. 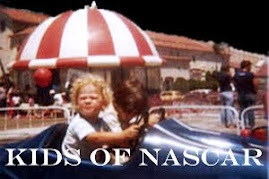 There is no short track operating for aspiring NASCAR drivers in the greater Los Angeles area. The nearest tracks are in Las Vegas, Lake Havasu, Ariz., Stockton, Calif. and Roseville near Sacramento. The track that once provided drivers a springboard up the NASCAR ladder sits idle waiting for someone or some group to jump-start it back to roaring life. Joey Logano, David Gilliland, Kasey Kahne, Casey Mears, Jason Bowles and Travis Pastrana used Irwindale as a pit stop on the road to bigger and better NASCAR dreams. Almost all of them say they wouldn't have successful NASCAR careers without Irwindale. Logano, who drives for Joe Gibbs Racing in the Sprint Cup Series and Nationwide Series, won two NASCAR All-Star Showdown races at Irwindale. Gilliland, a driver from Riverside who races for Front Row Motorsports in the Sprint Cup Series, won a Showdown race, a Southwest Tour race, a West Series race and a number of late model races at Irwindale. Kahne and Mears returned to their open-wheel racing roots by competing in the USAC Turkey Night Grand Prix at the track on Thanksgiving. Tony Stewart brought his USAC teams and drivers to Turkey Night on an annual basis. Some of the drivers racing at Auto Club Speedway in Fontana this weekend remember racing at Irwindale early in their careers. 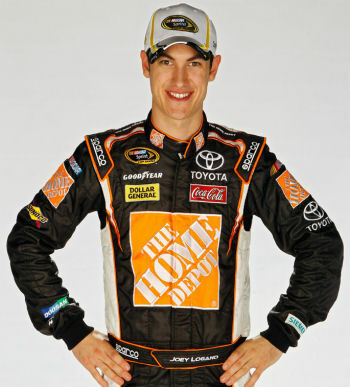 Logano was already an established Sprint Cup Series driver when he raced in his third All-Star Showdown at Irwindale. He won two Showdown races, having qualified as a driver in the K&N Pro Series East. He says he should have been a three-time winner in the Showdown. "Really, they've all been memorable for one reason or another," said Logano, who's driving the No. 20 Dollar General Toyota for Joe Gibbs Racing in the Auto Club 400 in Fontana. "I mean, winning my first All-Star Showdown was a huge accomplishment and capped off what was a huge season for me after winning the [East Series] championship and rookie of the year, and led into my debut into the Nationwide Series. That is something I won't forget, either." Logano returned to Irwindale in 2009 and won his second Showdown race. He was actually the first driver to cross the finish line in the 2008 All-Star Showdown, but was penalized for rough driving on the last lap and was denied his third Showdown win. "It's a tough race to win, and to be able to say I won it twice was awesome," Logano said. "And 2008 is memorable for a lot of reasons. Really, I still believe I should be a three-time winner of the race, but that's not what the history books will say. That race was memorable because I was in a car that a lot of people didn't think could win the race, and we were there and had a fast car. We crossed the finish line first but don't have the trophy to show for it. There really isn't much else you can say about it. I won the race three times but only have two trophies." Gilliland won his first stock car race on pavement at Irwindale. He started his racing career at Perris Auto Speedway on dirt, but said winning a race at Irwindale gave him the confidence to pursue a career in NASCAR. "I always wanted to move up and race in NASCAR," Gilliland said. "My first asphalt win came at Irwindale. It was a huge boost to me in every series." He won his first late-model race and his first NASCAR Southwest Tour race at Irwindale. He was the crew chief for his dad, Butch Gilliland, who raced in the NASCAR West Series and at Irwindale. Butch Gilliland still holds the qualifying record at Irwindale in the West Series. "I got some really fond memories of Irwindale," David Gilliland said. "It was really big. It helped me propel my career. Without Irwindale, I wouldn't be where I am today." Bowles, a driver from Ontario, wound up winning the last All-Star Showdown race at the track in 2011. He won three NASCAR West Series races in a row, all from the pole, at Irwindale in 2008 and 2009. But before that, Irwindale was not a place Bowles liked to visit. "Before 2008, I hated it," said Bowles, driver of the No. 81 Toyota for McDonald Motorsports in the Nationwide Series. "But in 2008, it got really nice. I have no complaints from there on out." His winning run in the Showdown didn't start out too promising, either. 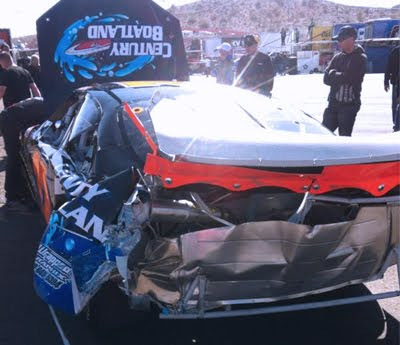 He wrecked his team's primary car in testing and had to race a backup car. "The biggest thing I remember about the race is winning," Bowles said. "It's always pretty action-packed. I had been there a few times and I knew what to expect." Even with a Showdown win and a West Series championship, Bowles said he struggled to find a permanent ride for two years. But winning the Showdown race at Irwindale gave him some prominence. "After I won the Showdown, a lot of people took notice," Bowles said. "But just like anything in racing, it's all about timing nowadays. I spent the last two years walking around with no ride. It helped keep my name out there, keep my name in everybody's head. It obviously didn't hurt. It worked out that I was in the right place at the right time. It just kind of all worked out." Now that the track is closed, it leaves a void for stock car drivers in Southern California and the Southwest. The track attracted drivers from Las Vegas, Arizona, New Mexico and even as far away as Texas to race in the weekly late-model series at the track. "It wasn't only a good track for me," Gilliland said, "it was an excellent track for the West Coast." MALIBU, Calif. - Twenty-year-old Austin Dyne has signed with owner Bob Bruncati's Sunrise Ford Racing team to contest the 2012 NASCAR K&N Pro Series West Championship. Dyne - whose background includes extensive experience in go-karts, Skip Barber Formula cars, S2, and a season of Late Models in 2011 - will make his K&N debut at the series April 14 round at Havasu 95 Speedway in Lake Havasu City, Ariz.
Austin, son of apparel company William Rast CEO Colin Dyne, will carry the William Rast livery the late Dan Wheldon drove to victory at last year's Indy 500. "It's an honor for me carry the same livery Dan drove to the win at Indy, and to be able to compete at this level in the sport he so loved," said Dyne. Bruncati and the Sunrise Ford Racing team won the 2009 West Championship with driver Jason Bowles, and is looking forward to working with Austin this season. "I really enjoy taking a young driver like Austin and teaching him what it takes to win a championship," said Bruncati. The NASCAR K&N Pro Series is made up of the NASCAR K&N Pro Series East and the K&N Pro Series West. This division represents NASCAR’s top regional touring series, where competitors refine their skills before making the jump to one of NASCAR’s three national series. 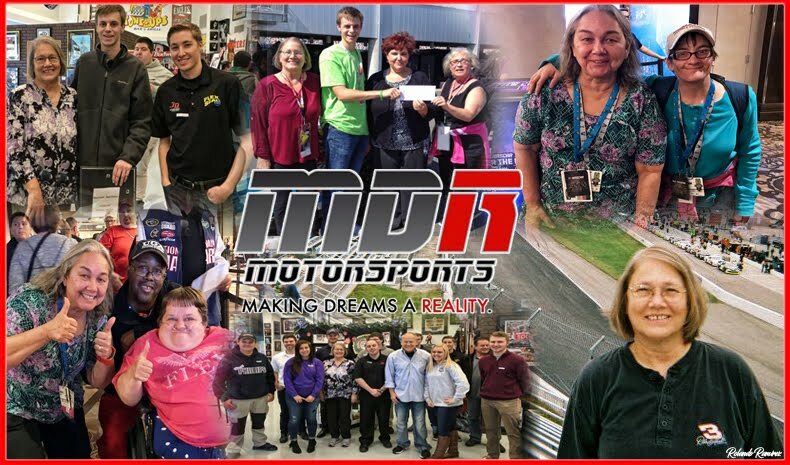 To read NASCAR Race Mom's entire article on Insider Racing News, Click Here. 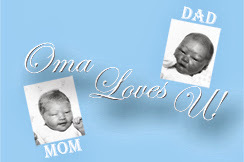 What a difference three years makes - To read what NASCAR Race Mom thought in 2009 Click Here. What makes someone a true hero? Crown Royal looking for the great ones out there. The givers, the sharers, the helpers and the sacrificers—whoever has touched the lives of the people around them for the better. This year, they are looking far and wide for heroes of all types, from firefighters to friends, from police officers to parents. Nominate your hometown hero for the chance to win their name in lights on the Crown Royal Presents the "Your Hero's Name Here" 400 at the Brickyard. ★ Naming rights to the race—we're talking on the race logo, on the track infield, on the TV broadcast. Everywhere! NASCAR Race Mom attended the 2011 “Matthew and Daniel Hansen Brothers 400.” I can tell you that it was awesome! Photo from Jimmie Johnson's Facebook Page - "I couldn't help myself... The hike was so worth it!" I thought the photo to be very cryptic and entertaining. Jimmy Johnson just lost 25 points and his crew chief (Chad Knaus) for six races for his illegal window pillars. Notwithstanding, compared to his February at Daytona International Speedway, Jimmie Johnson's March weekend at Phoenix International Raceway was a rousing success. Johnson overcame a battle with loose lug nuts to finish fourth in Sunday's Subway Fresh Fit 500. The top-five finish was worth 41 driver points, which pushed him into positive turf (at 18) through two races of the NASCAR Sprint Cup season. Don't count the five-time Champion out - Hazards Exist! AVONDALE, Ariz. -- David Mayhew has his sights set on the 2012 NASCAR K&N Pro Series West championship, and he got off to a fast start as he led every lap en route to winning the Talking Stick Resort 50 Saturday at Phoenix International Raceway. Mayhew, who split time between the series and the NASCAR Camping World Truck Series last year, collected his fourth career win. It was a near perfect weekend for the Atascadero, Calif., driver -- who posted the fastest lap in practice Friday and earned his seventh Coors Light Pole Award Saturday morning. Mayhew had led 162 laps in four series races at Phoenix, but his best finish was fifth in 2010. "We had a really fast car yesterday in practice and backed it up this morning in qualifying," said Mayhew, who qualified late in the session. "Going out was a little sketchy. A couple of guys were getting loose down in (Turn) 1. I was watching all those guys go through the corner thinking, 'oh man, this isn't good.' We got through the first lap. The second lap was awesome." Mayhew emphasized the importance of starting up front in this event. "Getting the pole was really the key to the race; starting up front, getting clean air and getting out and getting away from everybody," he said. "There were quite a few lappers, so being able to take your time when you got to them was the biggest thing -- some high, some low, some both. It was definitely entertaining out there." Although the second and third-place cars closed in on Mayhew at one point of the event, he pulled away to win by a margin of 1.198 seconds. Sixteen-year-old Dylan Kwasniewski came from fourth to finish second, while Daniel Suarez took third. "It was a great race," Kwasniewski said. "Mayhew was just way far ahead and he had a pretty good car. So it was going to be pretty hard to catch back up to him. Second place is a good finish for point standings. We're going for the championship this year, so it will definitely start me off on the right foot." Defending race winner and series champion Greg Pursley finished fourth and Derek Thorn rounded out the top five. Rookie Carlos Iaconelli finished sixth, followed by Chad Boat, Eric Holmes, David Gilliland and DJ Kennington. With his victory, Mayhew became the first to lock himself into the NASCAR K&N Pro Series race at the UNOH Battle At The Beach at Daytona International Speedway next February during Speedweeks 2013. The NASCAR K&N Pro Series West will return to action on Saturday, April 14 at Havasu (Ariz.) 95 Speedway. AVONDALE, Ariz. – David Mayhew has his sights set on the 2012 NASCAR K&N Pro Series West championship, and he got off to a fast start as he led every lap en route to winning the Talking Stick Resort 50 Saturday at Phoenix International Raceway. Mayhew, who split time between the series and the NASCAR Camping World Truck Series last year, collected his fourth career win. It was a near perfect weekend for the Atascadero, Calif., driver – who posted the fastest lap in practice Friday and earned his seventh Coors Light Pole Award Saturday morning. Mayhew had led 162 laps in four series races at Phoenix, but his best finish was fifth in 2010. Saturday, winning the Coors Light Pole and leading every lap en route to the win. AVONDALE, Ariz. -- David Mayhew used a late mock qualifying run in the final minutes of the 1 hour, 50 minute practice session to post the fastest time for the NASCAR K&N Pro Series Friday at Phoenix International Raceway. Mayhew's lap of 27.161 seconds (132.543 mph) around the 1-mile oval came in the final 15 minutes of practice to put himself in good position heading into Saturday's Talking Stick Resort 50. Qualifying is schedule for Saturday at 9:30 a.m. MT and the season-opening race is slated to go green at 5:30 p.m.
X-Team Racing teammates Carlos Iaconelli of Brazil and Daniel Suarez of Mexico had the second and third-fastest laps, respectively, in practice. Iaconelli (27.202/132.343) and Suarez (27.231/132.202) are scheduled to race a full season in the NASCAR K&N Pro Series East. NASCAR Sprint Cup Series driver David Gilliland was fourth fastest and NASCAR K&N Pro Series West veteran Johnny Borneman was fifth. Eric Holmes, Derek Thorn, Brennan Newberry, defending race winner Greg Pursley and Ben Kennedy rounded out the top 10. @x_team_racing is the Official Twitter page of X Team Racing. Cars #14 # 15 # 16 on the NASCAR K&N Pro East Series (Harrisburg, NC · http://xteamracing.com) @x_team_racing will race in Phoenix this Saturday March 3 with drivers @dnlsuarez and @carlosiaconelli on the #NASCAR #KNWest Series opener. Greg Pursley’s NASCAR K&N Pro Series West championship season began last year with a win in the first race at Phoenix International Raceway. He hopes to repeat that victory and get a jump in his charge for a second title when the curtain goes up on the 2012 season with the Talking Stick Resort 50 at PIR on Saturday, March 3. It will mark the start of the 59th season for the West’s premier stock car circuit. After winning last year’s season opener, Pursley went on to dominate series competition beyond the midway point, winning six of the first eight races. The stretch run was a different story, however. Four different drivers visited Victory Lane in the final six races, as newcomers began to flex their muscle. Those young drivers look to pose a serious title challenge to Pursley and other veterans of the series this year. Pursley has been considered the one to beat when it comes to Phoenix, meanwhile. After winning in the fall of 2010 and spring of 2011, the 44-year-old was going for a record third straight Phoenix victory last November – but ended up in the wall while battling for the lead. Dylan Kwasniewski, Las Vegas, Nev.
Ben Kennedy, Daytona Beach, Fla.
7:00 a.m. Garage & Registration open. 8:00 a.m. Mandatory Rookie/Spotter Meeting. Draw for qualifying order. 9:00 to 10:50 a.m. Practice. 1:00 p.m. Qualifying Inspection opens. Groups determined by qualifying draw. 5:00 p.m. Garage & Registration close. 7:30 a.m. Garage & Registration open.